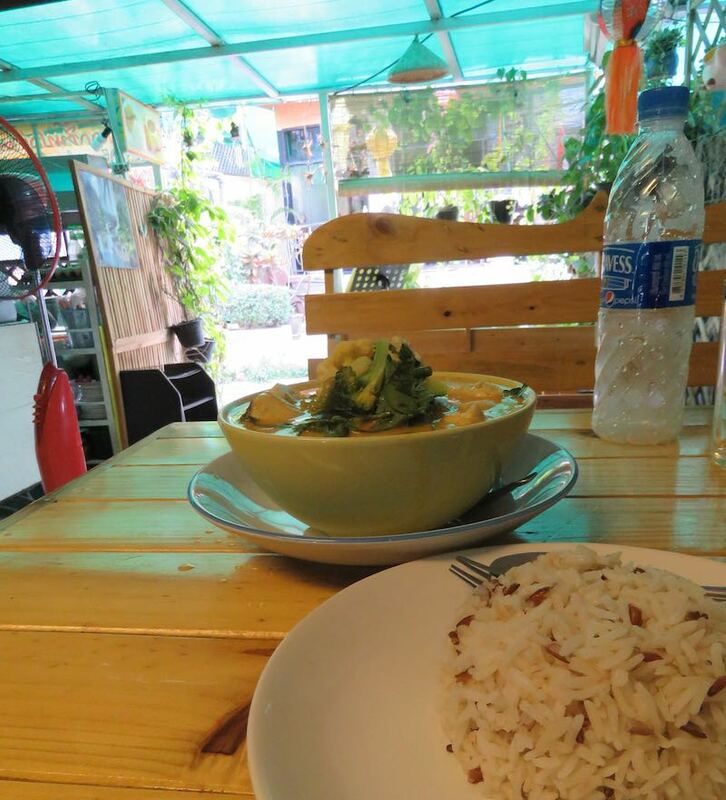 I found several great places to eat in Chiang Mai. I enjoy good food. And thankfully I can find very good food all over the world (anywhere I have been). That makes me happy. I have fewer instances of finding really great food that I miss if I move on. It isn’t that I don’t miss the great food I had but when I find lots of great new choices I am fine. I generally eat fairly cheaply, in stalls some, but also in simple restaurants. But rarely in expensive places (though in cheap locales I will splurge much more than if I am in an expensive city). Banana Flower Salad at the Achan Vegetarian Restaurant. Absolutely wonderful. All photos by John Hunter. I found lots of very good food in Chiang Mai. I found 3 places I really enjoyed a great deal (I went to each weekly, or more often). Anchan Vegetarian Restaurant is one of the places I would suggest everyone try. I see it as a highlight of being in Chiang Mai. I rarely find restaurants I feel this way about. To reach this level they not only have to provide great food, atmosphere and service but also capture some of the essence of locale. The also had Anchan juice which when I asked what it was the waitress pointed to the blue berries on the mural. I didn’t enjoy the juice so much actually, so only tried it once, but it was worth trying. Chicken Banana Curry at Cooking Love, again wonderful. They also give you very large servings. 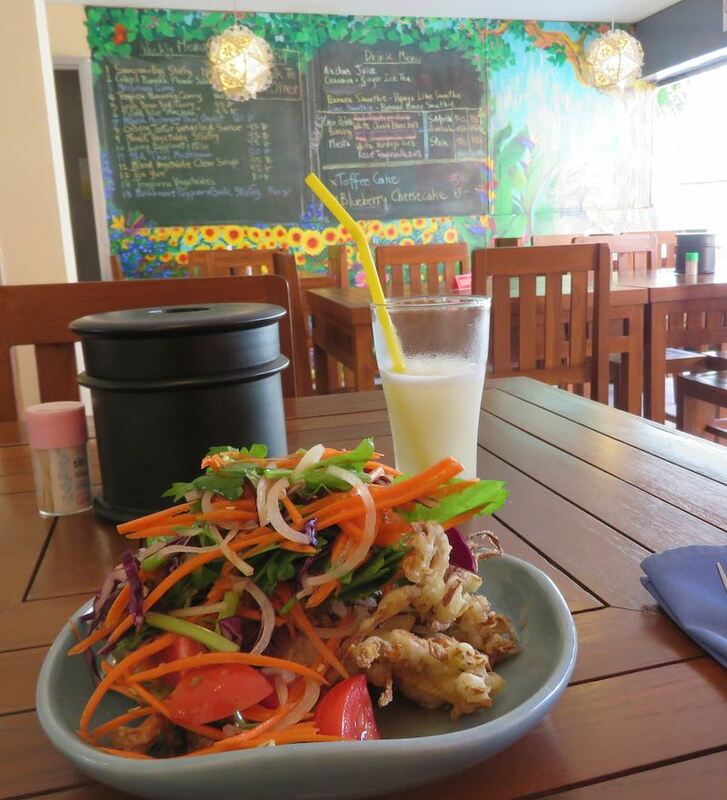 Two other places I highly recommend in Chiang Mai are: Cooking Love and Food4Thought.